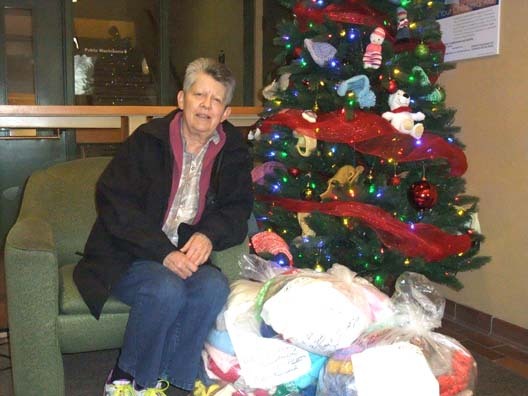 South Cayuga Community Church – United Church Women graciously donated a large amount of knitting for Christmas, which will also be used throughout the entire winter. Shown in photo is Judy Culp. Thank you for warming up everyone this winter.